NO HIDDEN FEES LIKE THE LARGER CHAIN STORES!! **DVD/CD/AM/FM STEREO** **BLUETOOTH SURROUND** **HEATED MATTRESS** **POWER AWNING** We have this really nice 2019 Forest River Rockwood 2109S here in stock. The 2109S floor plan weighs 4,251 lbs, sleeps approximately (4) people and has (1) slide. Look in our photo section for the MSRP invoice to see all the options ordered on this Rockwood Mini. If you have any questions at all, please give us a call at 888-299-8565 and ask for sales. You can also email us at our direst website. 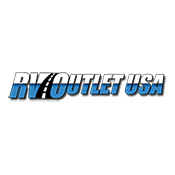 Please keep in mind, we have great financing and we offer HUGE discounts to our customers on 5th wheel hitches an instillation, parts and accessories.